Must pull mine out..... Have about the same or a little more done..... It's a lovely stitchery.. 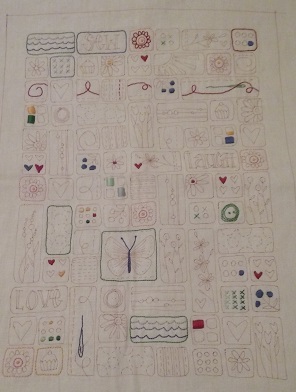 It is a lovely stitchery...enjoy! OMG! MIne has been finished for years now but I still haven't mounted it. It is actually on my OPAM list but I need help stapling it to the canvas. Enjoy stitching it. Enjoy it - I love mine...looking forward to seeing it all done.